ONE BOX HAS BEEN ORDERED, FEEL FREE TO RESERVE THE CHARACTERS YOU LIKE. Those are really cute. I haven't read Prince of Tennis since I was in middle school but I really liked it. 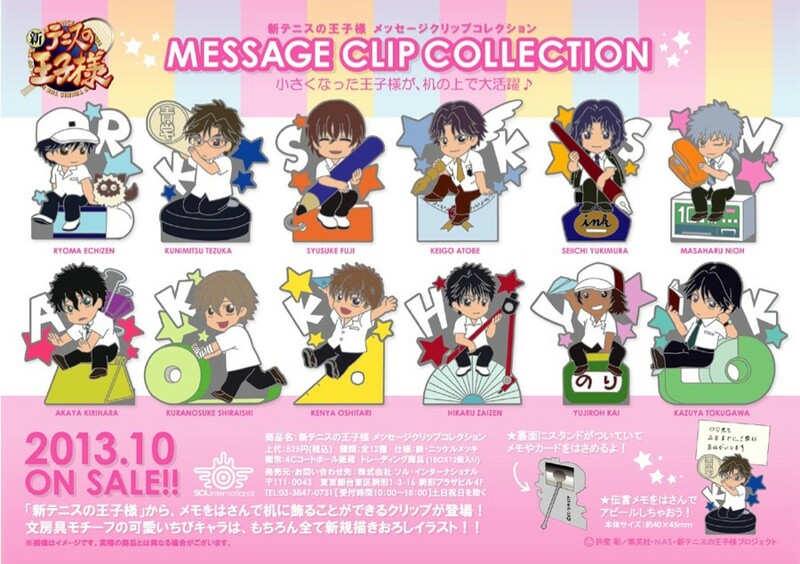 they're also cute cuz they're each holding stationery items. :) adorable. Tezuka is already claimed in the first box, and so I far I don't have enough request to warrant a second box =( Is just Fuji okay for now? just to confirm you have Fuji aniki for me right? If you are ordering another box, do keep Tezuka for me. You have already asked for Ryoma before. So you want to add Atobe? Oh I see, I only bought one box, so I can only put you down for one Ryoma and one Atobe.